When I was in college, my dream was to become an interior designer... Well, that never happened, but my love for interiors, styling and design hasn't gone away and I still find myself reading endless interior themed blogs and constantly searching Pinterest for new ideas for styling the rooms in my home. When we moved into our house a couple of years ago, I was so excited to be able to put our stamp on things and have everything just how we wanted it, and it's been lovely seeing the rooms coming together. Fast forward to now, and we're hoping to move again and I feel as though I already have so many new ideas for our next place, having learned a lot from styling our current home. I really can't wait to get started! ﻿I thought I'd share my five favourite places for finding inspiration for home decor, accessorising and where to buy the best bits & pieces to really change the look of a space in your house. 1. Pinterest is of course my number one go-to for inspiration. Any ideas I get, I can type into Pinterest and suddenly I have thousands of images, examples and further inspo to work with. You can find spaces similar to your own, colour palettes that you are picturing and how others have interpreted them into their own homes. If anyone asks me for opinions or are just talking about redecorating, I always point them in the direction of Pinterest before anything else. 2. I read quite a lot of interior blogs to find ideas for themes, accessorising and DIY's. My favourite's are all relatable and realistic, as I want to be eyeing up interiors that I could achieve instead of giving myself serious home decor envy! My favourites and most read would have to be Don't Cramp My Style, Lust Living, Apartment Number 4 and Burkatron. 3. 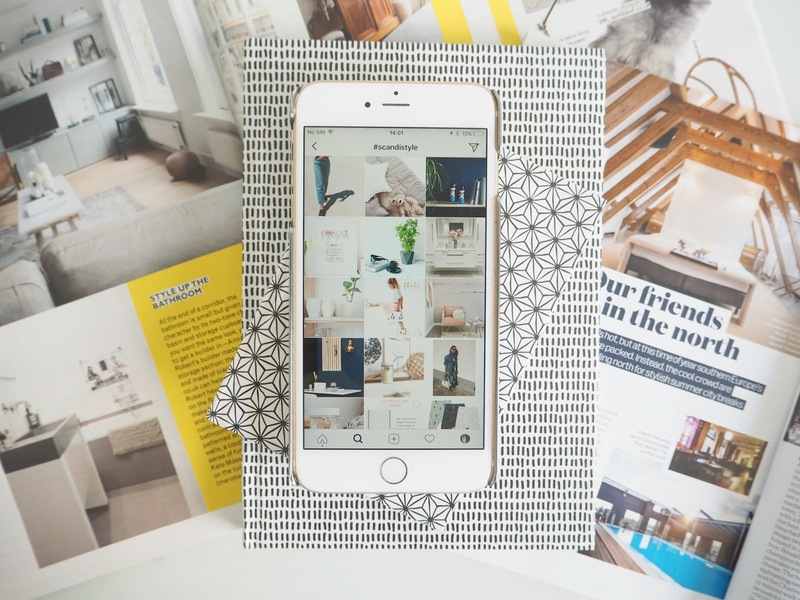 Instagram is another favourite as you can find a whole host of real home inspiration for all kinds of budgets. I love that it's a quick and easy way to find things that would fir into your home, especially when the person is kind enough to tag the brands into their pictures. I always end up with a phone filled with screen shots, usually from Holly's House, Erica Davies, Kate La Vie, Style Loves Home and Lust Living again. 4. Daily Life; other cultures, shops and restaurants provide great inspiration even when you're not searching for it, which is when some of the best discoveries can be made. I find myself eyeing up lighting, wallpapers, colour combinations and so much more on just a regular day out. Visiting new areas and other countries can also open the mind to so many new ideas. 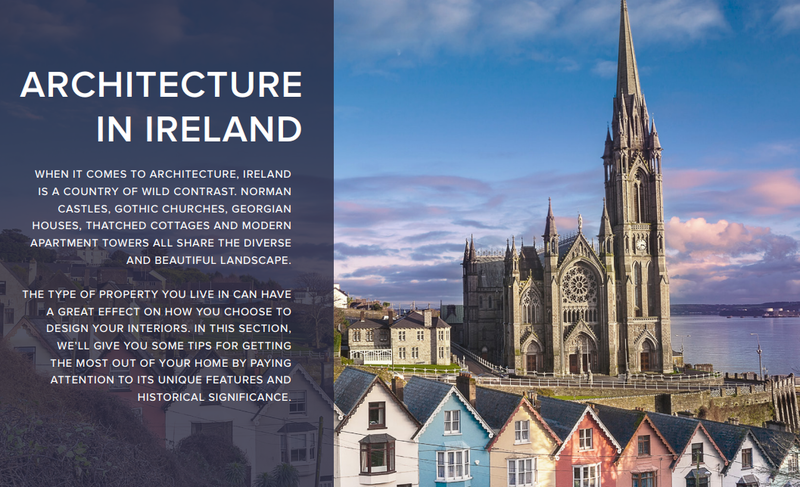 I love lots of different cultural designs from Italian architecture to the eclectic mixture of thatched cottages and gothic churches in Ireland. I have found so many amazing ideas in the ebook that has been put together by chill.ie. 5. I love visiting interior shops & websites and always find myself coming away with loads of ideas and wish lists as long as my arm! A day wandering around Ikea is a happy day for me, and I have so many pieces from there already in my home. I also love places like Dunelm, where you can find some real bargains. As for online, I am obsessed with the Holly's House shop, and would quite happily buy myself everything from there if I could afford to! I also have this problem with Anthropologie, The White Company and West Elm! For cheaper alternatives I love Maisons Du Monde, which I only discovered last year and was probably my best find ever, and I also really rate , H&M Home, Asda Living & Next. Where do you go to for inspiration for your home?